The minimalist aesthetic of Untitled Saskatchewan Landscape symbolizes the low horizon lines found in the badlands of southern Saskatchewan. 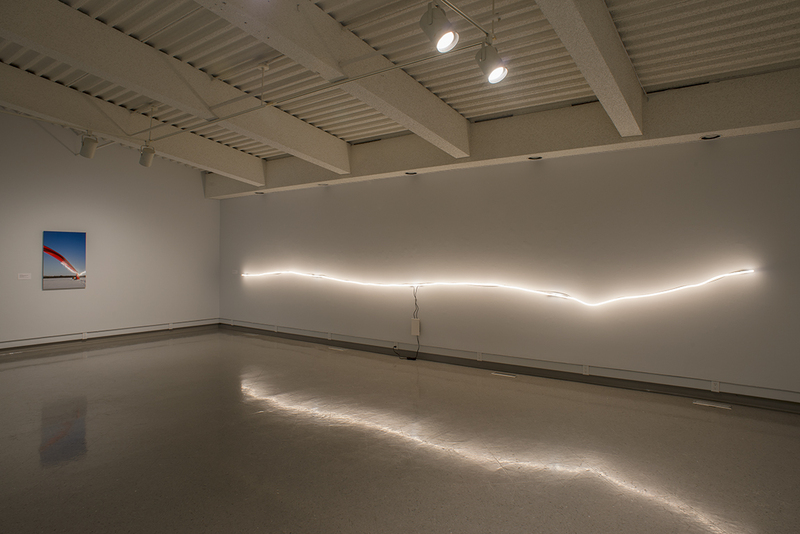 The installation of the light tube plays with the architecture of the gallery space, drawing a distinct horizontal line with minor undulations across the gallery wall. Untitled Saskatchewan Landscape is reminiscent of the fluorescent light tube works by American artist Dan Flavin. Flavin often remarked on the irony of this material, in that the bulbs hold a life span, therefore deeming the work temporal. The ephemeral quality of light, paired with the industrial nature of neon bulbs, speaks to Velkova’s concerns regarding disposability in consumer culture.